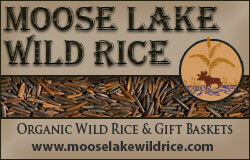 It's springtime in the Northland and that means only one thing: fishing! This next month or so before the opener people will be going to sport shows and seminars, looking for new equipment for the big day. 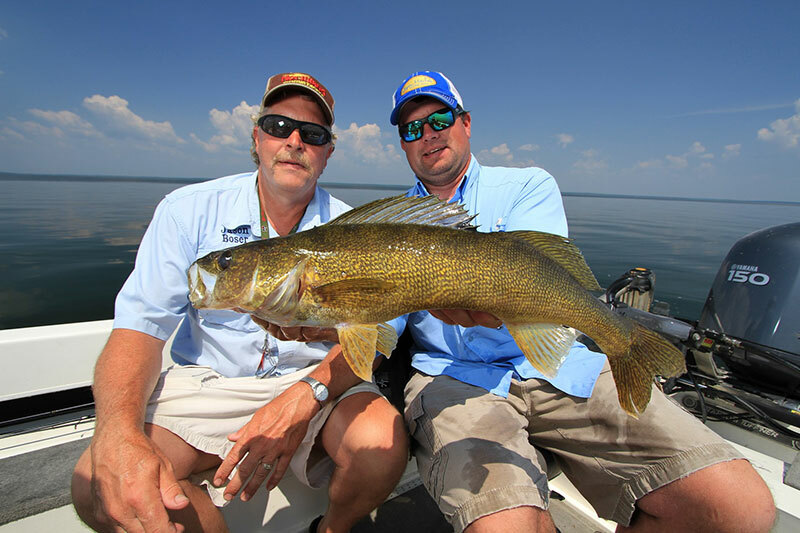 In this article we will talk about what to look for in a new walleye rod. First off, let me say all the higher end rods are good. They have made them light, ultra sensitive and they use good high density graphite. You have to pick one up and get the one that feels the best in your own hands. I always try to get the best rod I can afford. There area few different actions to look for. Medium-heavy, medium, medium-light and light. They all work for different situations. If you are fishing a lot of deep water, or fishing a river with a heavy current, you might want to go to a medium heavy or a medium action rod. If you are fishing mainly lakes, where the fishing takes place in the 5-12 ft. like around our area, I would stick with the medium-light to light action. I have a lot of people come up to fish with me that bring their own rods in the boat. Some of them come in with a medium-heavy or medium action rod loaded with 10-12 pound test line because they read an article that says “you gotta really set that hook” so they think heavy is better. That’s just not the case. Let's take a look at different styles of fishing and what to look for in a rod. First off we will discuss jigging which is probably the most popular style of fishing for most of us. Seems like everybody likes something different in a jigging rod; some like short, some like long, some like medium, some like light. 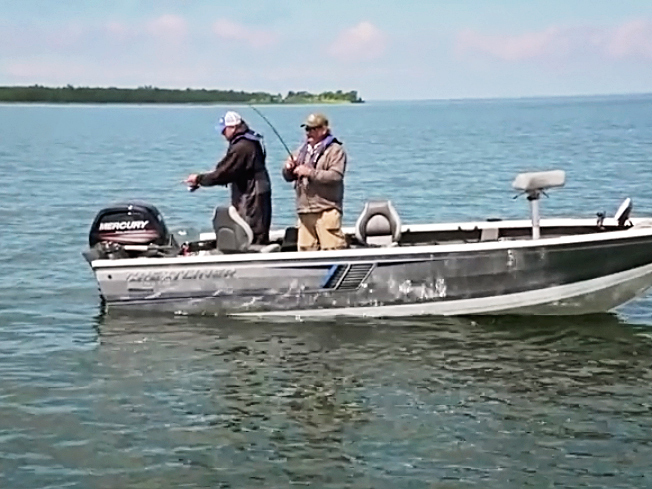 So let's talk about the tip action, the key to a good jigging rod. There are basically 3 types of tip action: extra-fast, fast and moderate. This just indicates where in the rod you get your hook setting power, or where the backbone of the rod is. 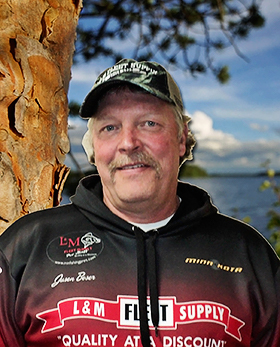 If you use a fast-action tip, you have the hook setting power more toward the tip of the rod. On the moderate tip it is more toward the middle. The other factor we have to look at is the length of the rod. Most people like to jig with a rod in the 5'5' to 6' range. That seems to be what I see as the most popular length; something that is easy to handle, lightweight and stiff enough to set the hook. I personally like the longer rods for jigging. 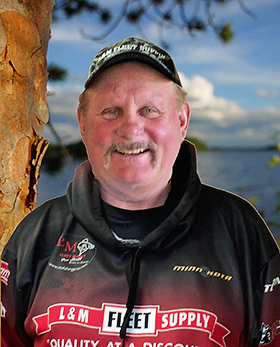 I use a St. Croix Avid series 7' medium-light with a fast action tip. I feel like I get a better hook set and can hold onto the fish better with the longer rods. Like I said, though, you have to match your rod to the conditions you fish. I jig mostly in shallow water 4' to 15', with an 1/8 oz. jig being my bread and butter, so I can get by with the lighter rod. One thing I have to discuss before we get off the jigging is the use of the new super lines on the market. I have on many occasions had people in the boat who just get a new rod and put fireline or another brand of no-stretch line on their system. So they are there with their new medium action rod and their 10 pound test fireline and wondering why they are having trouble. 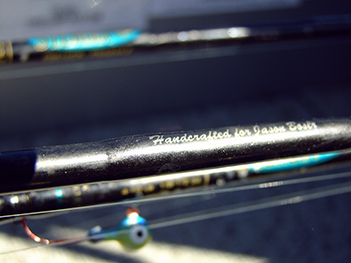 If you want to use the new no-stretch lines on the market you have to get a rod that matches. If the line does not have any forgiveness then you better have a rod that does. So go with a light rod so when you get a bite the fish don’t feel you right off the bat. Now let's talk about livebait rigging rods. When it is rigging time the walleyes are usually in the deep water of mid-summer. That means you have a lot of line out. 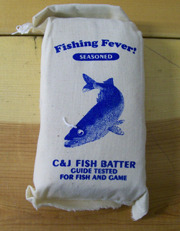 On top of that you usually have to give them line to let them swallow the bait no matter if it’s a crawler or a leech. So with all that line out, when you finally get ready to set that hook you are going to need a lot of backbone to set it. This is where the extra-fast action tip comes into play. You have a light tip so when you get that bite you can feel the fish without the fish feeling you, and you have the hook setting power to really bury that hook with all that line out. I like a 7’ rod for rigging. When you use a longer rod in the deep water you get a more sweeping hook set and more power on it. I also found with the longer rod in this situation you loose a lot less fish because you can keep a nice steady pressure on the fish when you are getting it to the boat. So when you are rigging be sure to look at a longer rod. Now let's just touch on trolling a little. I like to troll cranks for mid-summer walleyes. It's fun and you can cover a lot of ground to find the active fish. So what kind of rod fits for trolling? I use 7' or 7'6" light action rods for my cranks. I usually use a Fireline® in the 10 pound test range, so when I get that strike I want my rod tip to really bend. Otherwise you can pull the hooks right out of their mouths with too stiff of rod. If I were using a monofilament line I would use a little stiffer rod, because then you get the stretch in your line and you don’t need as much in your rods. Buying a new rod can be somewhat of a major purchase anymore and I hope this article helps you in making the right choice. 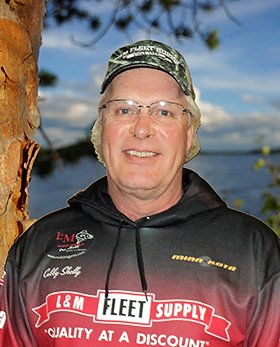 If you have anymore questions or need help with your next purchase, don’t be afraid to give one of our professionals on MN Fishing Pros a holler we would be more than happy to help steer you in the right direction. Charlie Worrath from Charlie's Gone Fishing Guide Service talks to Lakeland Public Television about tulibee fishing - Lakeland News Sports - March 5, 2012.